Links to the course handbooks for each year are listed below. From 2020, Year 7s will be given a cross section of courses to allow them to get a breadth of course content. This means they will be given a taste of all optional areas in Year 7 and 8 and then will be able to choose options in Years 9 and 10. In the Arts learning area students develop creative skills, critical appreciation and knowledge of artistic techniques and technologies in dance, drama, media, music, visual arts and combinations of arts forms. Engagement in the Arts develops a student’s sense of and equips them for a lifelong appreciation of arts and culture. The Arts provide young people with authentic and meaningful learning experiences that engage their minds, hearts, and bodies. While learning in other disciplines may often focus on development of a single skill or talent, the Arts regularly engage multiple skills and abilities, nurturing the development of a wide range of cognitive, social, and personal competencies. The facilities at the Melville SHS Arts Centre are state-of-the-art, and having Graphic Design Media as a Specialist Program allows all students at the school to benefit. Computers, a 3D printer, camera and video equipment are just some of the technologies available. The Carly Smith Studio is a great space for dance and performances, and is used on a daily basis. See Interview with Madeline Waller who was a 2014 Perspectives Exhibition finalist at AGWA (go to Minute 1.25). The study of English is central to the learning and development of all young Australians. It helps create confident communicators, imaginative thinkers and informed citizens. It is through the study of English that individuals learn to analyse, understand, communicate with and build relationships with others, and with the world around them. The study of English helps young people develop the knowledge and skills needed for education, training and the workplace. It helps them become ethical, thoughtful, informed and active members of society. English plays an important part in developing the understanding, attitudes and capabilities of those who will take responsibility for Australia’s future. Although Australia is a linguistically and culturally diverse country, participation in many aspects of Australian life depends on effective communication in Standard Australian English. English also helps students to engage imaginatively and critically with literature to expand the scope of their experience. Aboriginal and Torres Strait Islander peoples have contributed to Australian society and to its contemporary literature and its literary heritage through their distinctive ways of representing and communicating knowledge, traditions and experience. English course work values, respects and explores this contribution. It also emphasises Australia’s links to Asia. The English curriculum is built around interrelated strands and teaching and learning programs balance and integrate all strands. Programs focus on developing students’ knowledge, understanding and skills in listening, reading, viewing, speaking, writing and creating. Learning in English builds on concepts, skills and processes. Health and Physical Education Learning Area outcomes are linked to the progressive development of a healthy, active lifestyle for students. Students progress throughout their schooling to higher levels of skills and knowledge about influences that enable the attainment of healthy active lifestyles. Students also utilise time in the Health and Physical Education Learning area to develop self-management skills based on informed decision making. Central to the ongoing education of each student is the development of interpersonal skills for the establishment and maintenance of effective relationships in life. The Health and Physical Education Learning Area encourages and monitors the values each student places on achieving a healthy, active lifestyle. Outcomes are predominantly addressed through learning in such areas as Health Education, Physical Education, Outdoor Education, Sport and Dance. 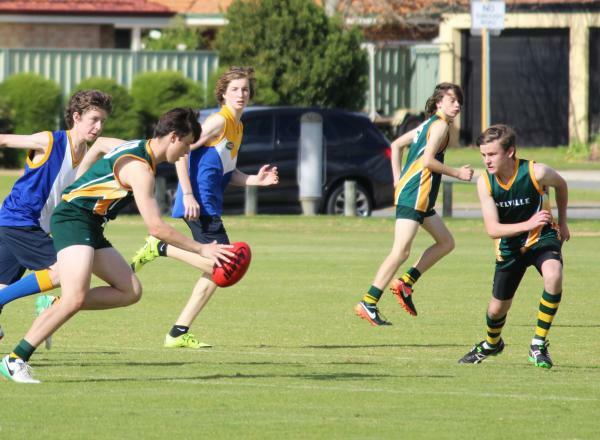 Melville SHS encourages participation in sports, both in school time and after school. See the Specialist Netball Program tab for details on our specialist sport, and see below for examples of activities in which a large number of students participate. The link below is to a medical form intended for the use of students participating in Interschool sports. The information is required for each student attending any sporting event. It will assist the school and supervising teachers in the preparation, planning and safe conduct of the excursion. Please email the form to Felicity.Osullivan@education.wa.edu.au or alternatively, click the ‘Submit Form’ button on the top of the document. At the moment, this form will be kept on record for and Health and Physical Education excursions only. Chinese (Years 7-12) – Chinese Second Language, Chinese Background Language, Chinese First Language, General Chinese Units 1-4. These courses have been designed to cater for the needs of the beginner through to those who are fluent speakers. As well as extension classes, all students regardless of their ability will be offered other extension activities in order to foster their aptitude and enrich their learning outcomes. Learning a language is compulsory in Years 7 and 8. There is also a 10% bonus awarded to a student’s final ATAR score if they study an ATAR Language through to Year 12. 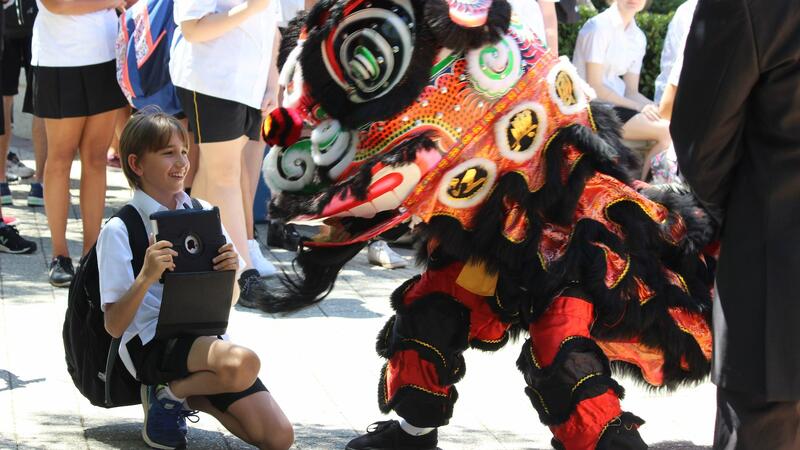 The growing need for Australians to learn a second language has been addressed in the National Curriculum and Melville Senior High School strongly promotes foreign language learning. An additional language empowers and provides the ability to communicate with many people, therefore eroding barriers of communication. Students are engaged via a wide range of learning activities designed to stimulate and encourage students. Incorporated into the language courses are excursions to authentic restaurants and culture-practicing localities, cooking lessons and culinary workshops, foreign film festivals, language games, native speakers, art and craft presentations, regional sporting activities, IT access, travel and exchange programs, competitions and online tutorials. A biannual exchange program exists with our students travelling to China to visit our Sister school, No. 7 School in Hangzhou. There is also preliminary planning for a potential cultural immersion tour to the exquisite and amazing parts of Italy in September 2017 for Italian studies students. Art, language, geography, cuisine, history, sport, everyday living, adventure and romantic icons are just a few areas students will study. Our enthusiastic staff are great ambassadors for language learning and their passion to promote languages in each child and the wider community is infectious. Join us to open your world to Languages. There is so much to gain! At Melville Senior High School we have a strong link with many countries. There are opportunities to host students and be an exchange student in other countries. Our exchange links are with China and Italy. No. 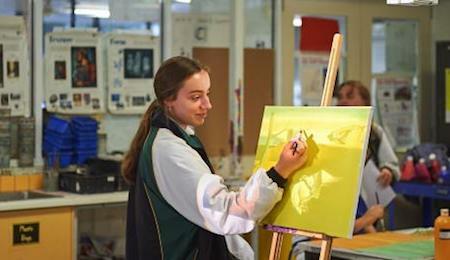 7 High School is a Specialist Arts school and has a natural link with the high caliber arts programs at Melville SHS. The relationship includes teacher and student exchanges, the opportunity to communicate and share languages plus exhibit each other’s artwork. 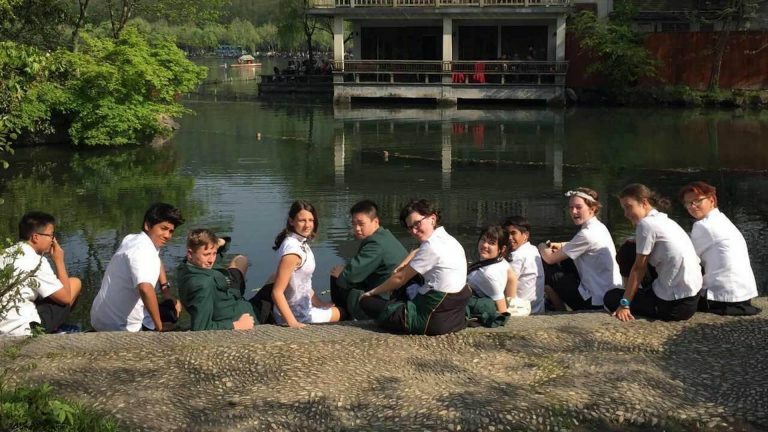 In 2015 and in 2017, students and teachers went to China to visit our sister school No. 7 High School in Hangzhou, Zhejiang Province and there were reciprocal visits from their school later in the same year. Two Italian exchange students come to Melville Senior High School each July and August. Thanks to our host students from Melville SHS, they have a wonderful place to stay each year. Students can then have a similar experience in Italy over the Christmas holidays. A tour to Italy has been organised by the keen Italian teaching staff so watch this space for the details. Mathematics is the language that transcends culture, religion, gender and age. As such, an understanding of mathematics enriches the lives of all people. Mathematics provides students with skills and resources that are essential to success in personal, academic and civic life. The applications of mathematics are relevant across a diverse range of fields including, engineering, medicine, business, finance, social sciences and natural sciences. The “Have Sum Fun” competition – an exciting, State-wide mathematics competition through the Mathematical Association of WA. It is offered to our Year 7 to 12 students and provides the opportunity to expand their mathematical skills. 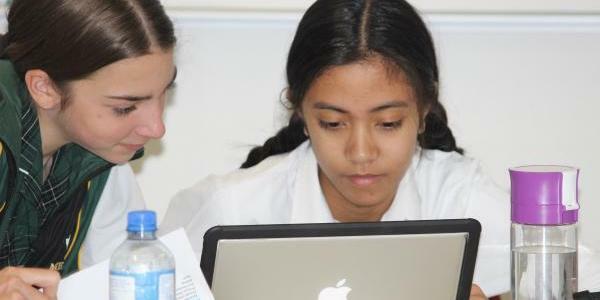 The Australian Mathematics Competition – an international competition also offered to our Year 7 to 12 students. It is an enriching opportunity that allows our students to enhance and evolve their mathematical problem solving skills via an international platform. Literacy and Numeracy Week – featuring enjoyable and academically stimulating mathematics-based activities for all students, with fun prizes to be won. Homework classes – tutorials for ATAR and lower school Mathematics subjects are offered to all students before, during and after school hours. This provides our students with additional guidance and support in a friendly classroom setting. Mathematics Extension program – providing challenging and stimulating mathematics teaching that caters to advanced students. Melville Senior High School takes pride in the excellence and quality of its Mathematics program and the achievement of its students. Our Mathematics staff encourage our students to become self-motivated, confident learners through active participation in challenging and engaging experiences. Melville SHS believe it is vital that all students should receive a solid grounding in Science, enabling them to function in a world that is increasingly shaped by its application in nearly every aspect of daily life. We aim to excite all students with a sense of wonder, optimism and enthusiasm for this subject that will last the rest of their lives. Science provides opportunities for students to develop an understanding of concepts and processes, the practices used to develop scientific knowledge, science’s contribution to our culture and society, and its applications in our lives. The curriculum supports students to develop the scientific knowledge, understandings and skills to make informed decisions about local, national and global issues and to participate, if they wish, in a science-related career. Our curriculum in Years 7, 8, 9 and 10 is closely aligned to the Department of Education’s Western Australian Curriculum. This has three interrelated strands: Science Understanding, Science as a Human Endeavour and Science Inquiry Skills. In Year 11, Unit 1 and Unit 2 in Chemistry, Physics, Biology and Human Biology are offered. These all lead to Units 3 and 4 and WACE examinations in Year 12. 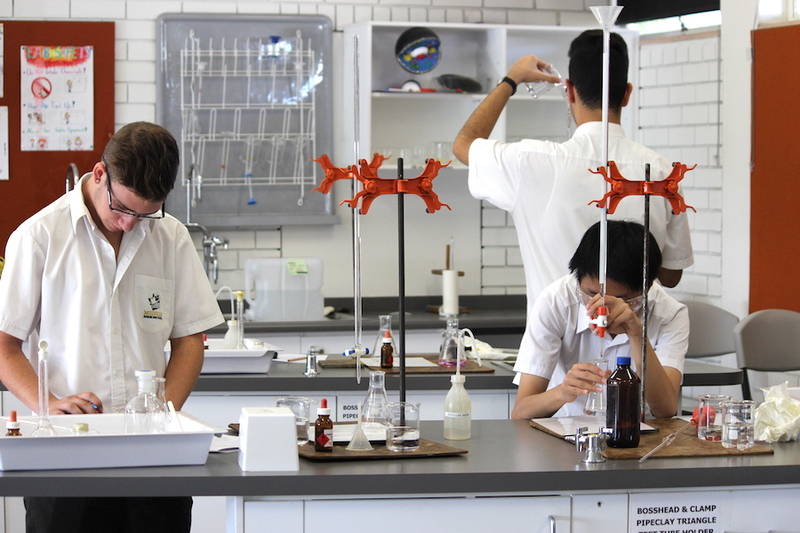 General Integrated Science Units 1 and 2 are also offered in year 11, and Units 3 and 4 in Year 12. All courses are designed to comply with the School Curriculum and Standards Authority guidelines on assessment and content. The Humanities and Social Sciences (HASS) learning area develops students’ understandings of how and why individuals and groups live together; how they interact with and within their environment; manage resources; and create institutions and systems. HASS involves the study of History, Geography, Economics and Business and Civics and Citizenship. Students gain an understanding that relationships and interactions between individuals and groups change to varying degrees over time. We teach processes of social inquiry, environmental appraisal, ethical analysis and skills to constructively critique various perspectives from past and present contexts. Students are encouraged to apply their understandings and skills in their own lives, in developing environmental consciousness, social competence and civic responsibility. Studying HASS helps students understand how particular social, cultural, economic and environmental issues define peoples’ life experiences. Knowledge of these events helps students to develop the ability to contribute to our culturally diverse society as rational and informed citizens. Students will learn relevant concepts and ideas from people renowned in their fields of expertise, ensuring an interesting and diverse teaching and learning experience. The teaching and learning area of Technologies is a broad field of study that draws on a range of subjects including home economics, manufacturing, engineering, manual arts, aerospace, graphics, and information processing and technology. evaluate and reflect on the functionality and impact of products and how well they meet the consumer’s needs and wants. Enterprise involves the development and application of skills and attitudes that enable people to actively respond to, and be involved in, social and economic change. ESL English is a flexible program of instruction for language and literacy development, designed to assist students whose first language is not English. ESL classes are formed in Years 8, 9 and 10 as required. Newly arrived students are eligible for ESL studies during their first 3 years in Australia. ESL education caters for those students who have recently arrived in Australia from a non-English speaking country or those who have recently exited from an Intensive English Centre (IEC). At each year level, students are encouraged to take advantage of ESL provision to improve and consolidate their English language and literacy skills. Being a competent user of English is essential for success at school. ESL classes are small and students are assisted individually to ensure improvement and develop confidence. In Years 8 and 9, ESL teachers focus on improving students’ Standard Australian English skills in preparation for WAMSE and NAPLAN testing. Grades achieved by students are based on each student’s progress against the ESL/ESD progress maps in the four language modes: speaking, listening, reading/viewing and writing. All lower school ESL programs are designed to effectively prepare students for achieving their WACE through participation in the English as an Additional Language (EAL) stage 1, 2, 3 units. 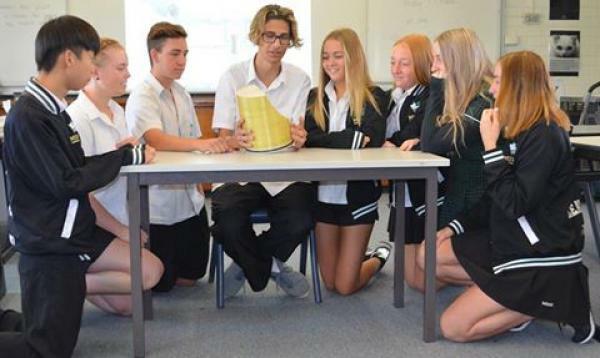 In Year 10, ESL students are involved in the Oracy Australia speaking program. In this program students prepare a small number of oral language tasks (e.g. talk accompanied by a power point; role play; reading a passage) which are presented and assessed by a trained external Oracy Australia assessor. This helps to prepare students for upper-school EAL course units where all semester exams (and the TEE exam) contain an oral examination. Finally, ESL classroom programs will assist learners to develop key cultural and social understandings by discussing, watching, reading and responding to a range of Australian fiction and non-fiction texts across a range of common school genres (e.g. persuasive and argumentative texts, documentary, report, journal writing etc.). 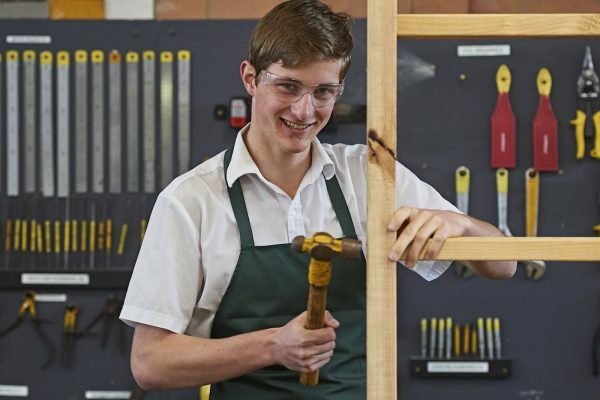 Vocational courses can contribute up to 50 per cent of the Western Australian Certificate of Education, and the Vocational Pathways Program at Melville SHS is growing in reputation and attendance. Melville SHS has been ranked in the top VET schools for the past 10 consecutive years and we have set new records for the number of students taking up the opportunity to participate in training. VET in Schools (VETiS) is part of the Secondary Directorate and is responsible for the development and implementation of policies and practices relevant to vocational education in schools. In these programs students, usually in years 10 to 12, are working towards either full qualifications or individual Units of Competence (UoC) while enrolled at school. Often, a student’s program also includes a component of workplace learning (WPL) where the student is able to apply and practice the industry skills in a real workplace. Vocational Education and Training (VET) in schools enables students to gain nationally recognised industry skills whilst completing their school graduation. VET is taken as part of the Western Australian Certificate of Education (WACE) and completion by the student provides a wide range of post school options and pathways. By the end of Year 12, students will need to achieve either an ATAR score for University Entrance or a Certificate II or higher to prepare for further training and/or employment. ATAR students may also complete a recognised qualification at a Certificate II level or higher at school as part of their senior school selection. The school environment is set up as closely as possible to mirror a professional workplace. This means that students begin to take ownership in their working environment such as in maintaining equipment, reporting faults and taking an active role in occupational health and safety issues. A considerable investment has taken place to upgrade facilities in many of our areas to meet industry requirements. For example, in the Design area, eight colour printers and site licensing for the entire Adobe creative suite have ensured that students are able to create and output professional product daily. A further incentive for many students is that the certificate courses are ‘meshed’ with their existing courses of study. While they are completing their normal studies they are using their tasks towards ticking off competencies for their industry courses. By graduation time, students have already begun to build up an impressive range of options for future career pathways. Our Lower School RISE Program allows our students to achieve success through the hard work and dedication of its teachers. This program focuses on students from Year 8 to 10 who will be able to access more SCSA Endorsed programs and VET courses with each student having an individualized Learning Plan. Today’s students realise the importance of working towards a vocational qualification whilst at school. The Vocational Pathways Program gives students a head start over students without certificate qualifications when they graduate by enabling them to attend full time TAFE courses or even university. Students in the program undertake three days of school and access TAFE courses on either the fourth and/or fifth day, participating in workplace learning on the they day they are not at TAFE or later in the year in place of attending TAFE. These are just a small portion of the courses on offer at Western Australian TAFE’s. The courses offered change each year based on availability and demand. Melville SHS students have the opportunity to attend TAFE courses at North Metropolitan TAFE RTO code 52786 and South Metropolitan TAFE RTO code 52787. Click here to go to the North Metropolitan TAFE VETiS website for more information. The VET programs are delivered at the school as part of the student’s regular timetable. All school based VET programs involve a partnership between Melville Senor High School and Registered Training Organisations (RTO’s). This partnership allows the students to achieve a VET qualification that is delivered at the school as part of their Year 11 and/or Year 12 course selection. The school will enrol the students who have selected these courses by advising the RTO in February each year after the subject selection process has been completed and parents have provided their approval for enrolment. Upon successful completion of all course requirements, students who have been assessed as meeting the requirements of the training packages will be issued with an AQF Certificate. The RTOs will issue the certificate or statement of attainment. This will be delivered to the school and will be posted to the student at the student address registered with the school. VETiS Consulting Services Pty Ltd RTO Code 52499 is licensed under ASQA to deliver and assess these qualifications. A full list of approved qualifications that VCS is licensed for can be found here. The student’s enrolment with VETiS Consulting Services Pty Ltd RTO Code 52499 is confirmed when the student has completed the online student induction program using V Learn. The student’s enrolment with College of Sound and Music Production RTO Code 41549 is confirmed when they complete an online enrolment form via the RTO’s portal. The student’s enrolment with Australian YMCA Institute of Education and Training RTO Code 3979 is confirmed when a return email is sent by the respective RTO acknowledging student enrolments. What makes a Certificate Course so popular for students? There are several key advantages for students entering in a certificate program. Firstly there is the knowledge that a national recognised industry certificate is obtainable at the end of the course – something that takes them well beyond a normal school accredited certificate. There is also the satisfaction that they know they are learning the same skills which they will be using in their chosen industry, from the safe use of power tools to the creation of Auto-CAD drawings, from setting up of digital print jobs to the ability to provide wilderness first aid. The school environment is set up as closely as possible to mirror a professional workplace. This means that students begin to take ownership in their working environment such as in maintaining equipment, reporting faults and taking an active role in occupational health and safety issues. A considerable investment has taken place to upgrade facilities in many of our areas to meet industry requirements. For example, in the Design area, eight colour printers and site licensing for all of the Adobe creative suite have ensured that students are able to create and output professional product daily. School Based Traineeships (SBT) and Aboriginal School Based Traineeships (ASBT) also provide great opportunities for students to begin some form of training. Students are able to be at school and work at the same time and be paid whilst undertaking their training. SBT’s and ABST’s open new employment opportunities and enhance students’ enterprise skills. There are many traineeships available, generally at Certificate II level, and Melville students complete these in areas such as Business, Hospitality and Retail. Academic Task Force has worked with schools and families for 28 years. It is one of the most experienced Year 11 & 12 education providers in Western Australia. Whether you are a high achiever looking to get that extra edge or a student who would like additional support to reach your potential, Academic Task Force has a program to suit you. Many of our teachers have experience as Heads of Department, and are WACE markers or text book writers, so they know the syllabus well and can help you understand the content.